Our insert molding services have earned the trust of the medical, automotive, electronics and aerospace industries. 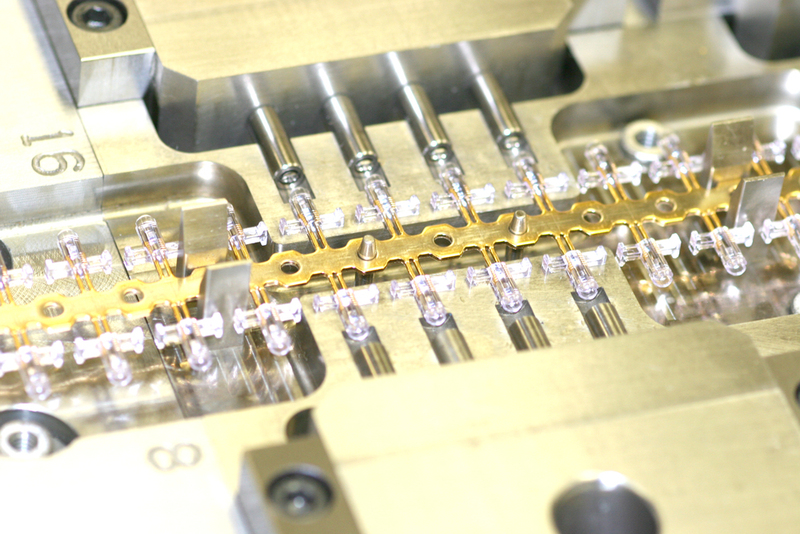 Weiss-Aug’s injection molding and insert molding services have earned the trust of the medical, automotive, electronics and aerospace customers, through supplying the most critical components and assemblies consistently at a world class quality level. Weiss-Aug offers injection molding services both in its US plants and its Apodaca plant in Mexico. Using both vertical and horizontal injection molding machines, we mold engineered thermoplastics for a variety of applications. Insert and over molding is a highly effective and robust method of manufacturing that assemblies a metal or plastic insert into a larger plastic party by placing the insert into the mold cavity and injecting the plastic around or over it to create the final part. Insert molding technology is routinely used in critical automotive and medical device applications. Extremely small and complex as well as larger insert molded parts can be economically and consistently produced in a continuous fashion from reel-to-reel with little or no need for added labor. The medical device industry has used injection molding manufacturing for many years. Weiss-Aug has been supplying components and assemblies fabricated through insert molding for general surgical, electrosurgical and specialty devices and instruments for over 30 years. ISO 13485 Certified. Our insert molded components support the harsh defense environment and are equipped on virtually all commercial aircrafts today. Weiss-Aug offers full service design and development support to see the customer's project through from concept to market ready product. Working with the customer through every phase of development, qualifications and volumes need to be met in the most timely and cost effective manner. We customize our processes to meet the individual quality, dimensional or functional engineer requirements. 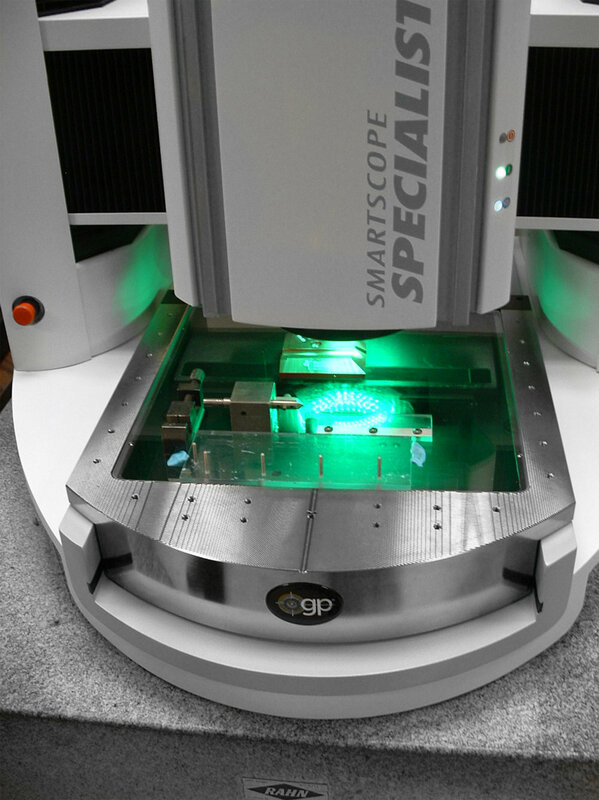 Our engineers are experienced with both medical device and automotive prototyping. Both fields have benefited from features that improve process efficiency, reduce costs, decrease steps in the process, accelerate the time to market, and create improved product performance. Weiss-Aug has 100% inspection capability through the use of automated inspection equipment where possible. In-line cameras allow Weiss-Aug to inspect all parts providing 100% detection systems and real time dimensional data. Our automated equipment uses force testing, electrical testing, and hard gauges which allows us to functionally test all products. 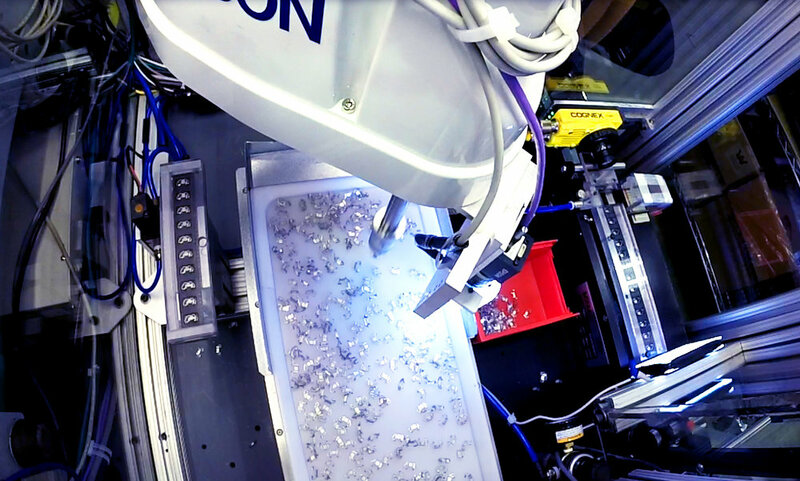 When automated equipment is not possible but 100% inspection is required, inspectors are aided with tools such as digital microscopes to 100% inspect parts.